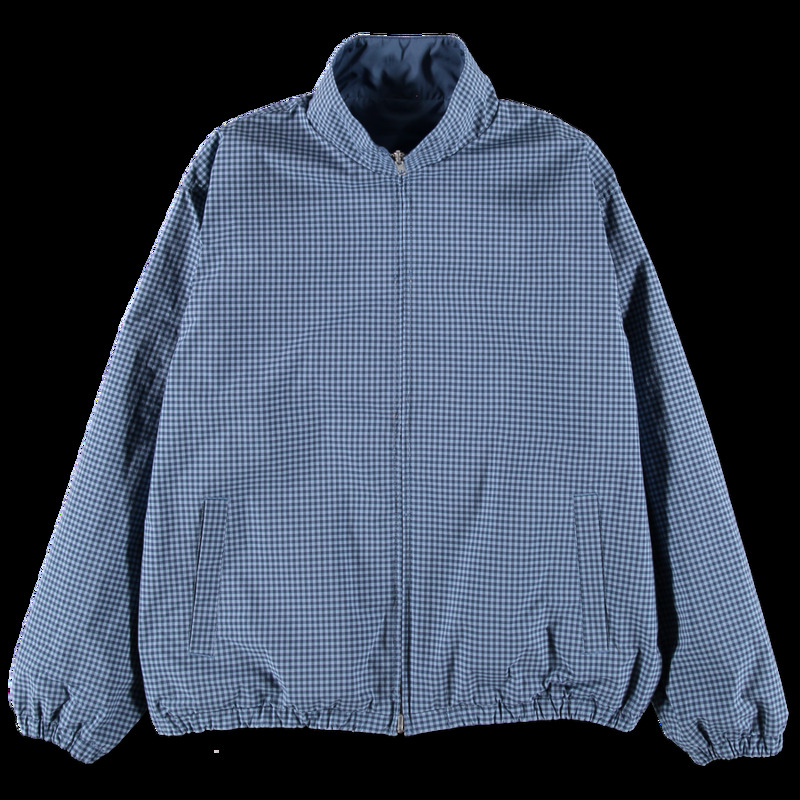 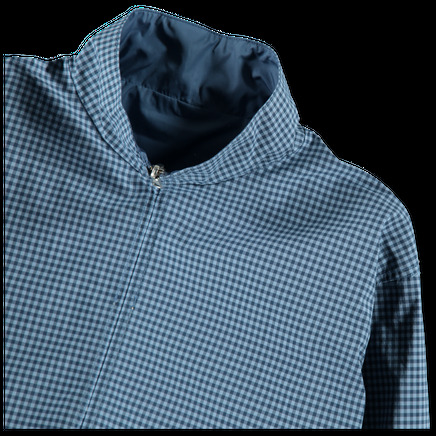 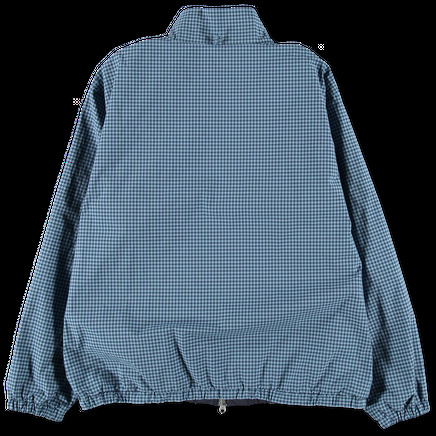 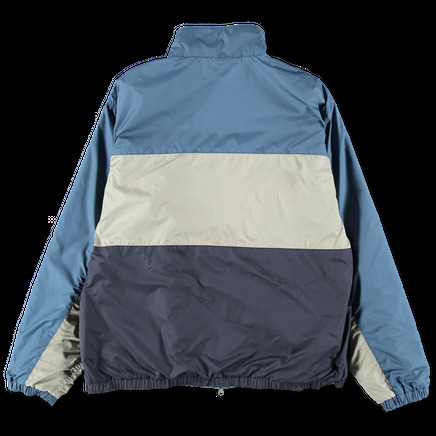 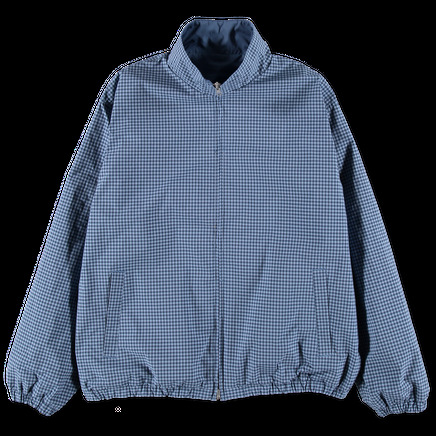 Reversible jacket featuring a crisp and dense woven nylon gingham outer. 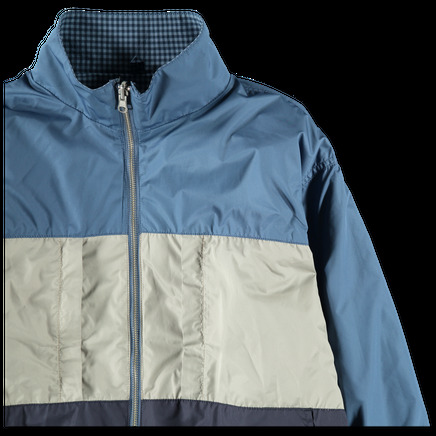 Two way zip closure and slanted hand pockets. 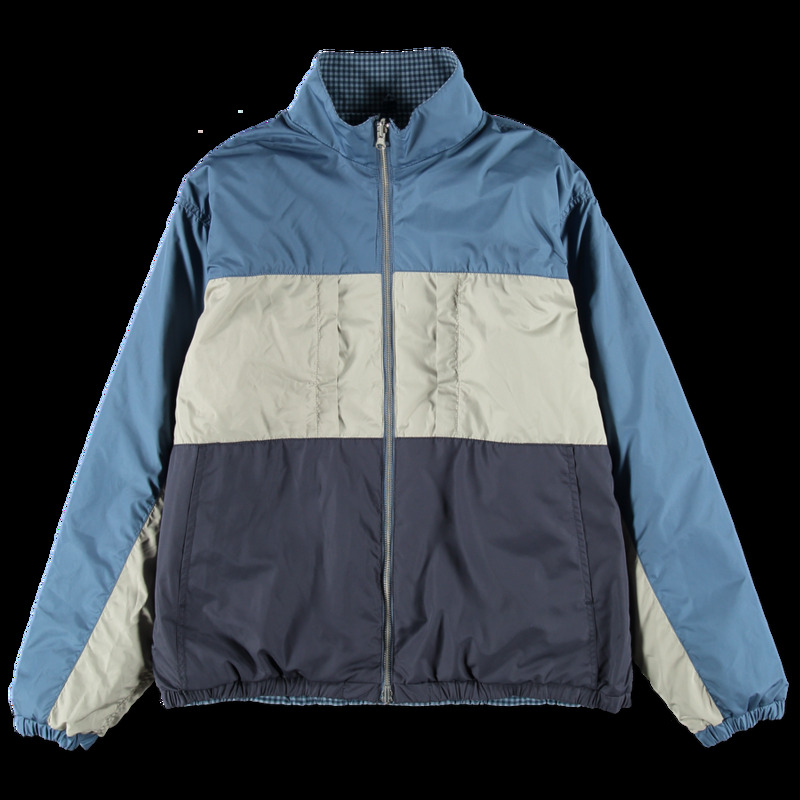 Reverse features a soft nylon with contrasting stripes, slanted hand pockets and double zippered chest pockets. 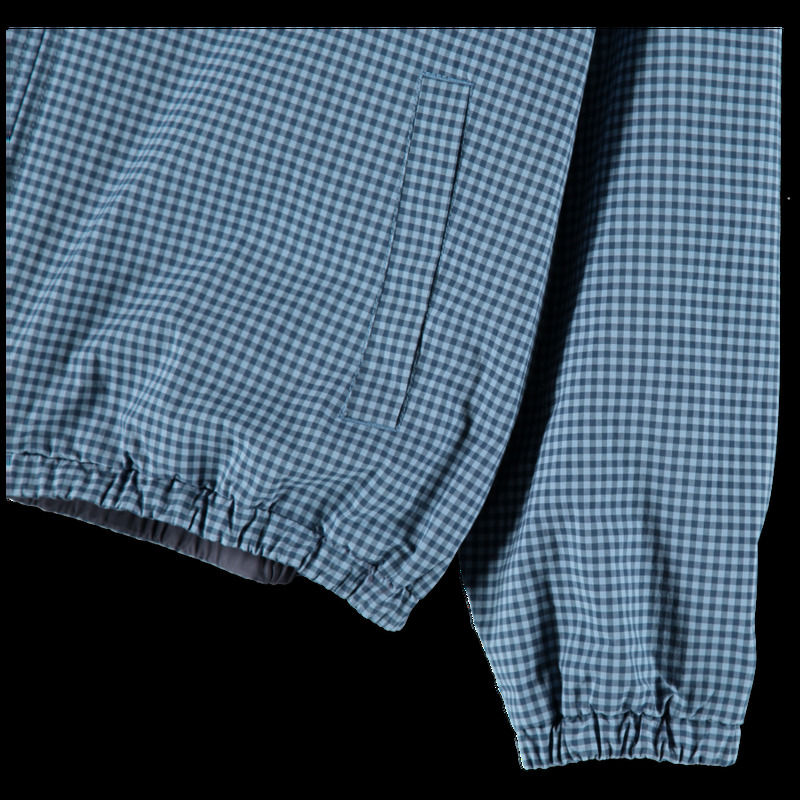 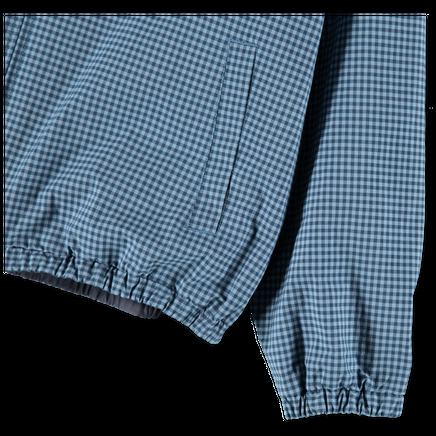 Elasticated cuffs and hem.